The Oklahoma Highway Patrol reported a personal injury collision occurred about 3:19 p.m. Saturday on State Highway 18, about 0.7 miles south of County Road 518, which is approximately 3 miles north of Fairfax, OK in Osage County. 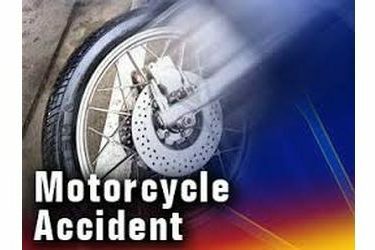 The patrol said the accident involved a 2007 Harley Davidson Motorcycle driven by Lewis Henry Caplan (SIC), 39, of Haysville, KS. Caplan was transported by Miller EMS to Fairfax Hospital, then by Lifeflight to St. Francis Hospital in Tulsa, OK, where he was admitted in stable condition with a leg injury. The Highway Patrol’s report stated Caplan’s vehicle was southbound on SH 18. The vehicle approached a curve to the left, departed the roadway to the right, and impacted a barbwire fence. The vehicle was laid over and the driver was removed from the motorcycle approximately 20 feet south. A helmet was in use. The condition of the driver was apparently normal and the cause of the collision is listed as going too fast on a curve.